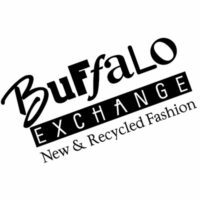 Buffalo exchange is a retail company, distributing different brands in the fashion industry. It buys and sells brand new and old clothing with customers and bulk buyers. Kerstin and Spencer Block started the retail company in Tucson, Arizona during the 70s. It aims to create a place where successful and budding entrepreneurs in the fashion and retail industry could help one another. The company has around 50 stores in 19 different states, providing equal opportunity to its retailers. It has more than 800 employees across the states of America. The employees enjoy competitive salary, insurance, health benefits and paid leaves. The long-term benefits include a retirement plan. It provides equal opportunity to people who want to apply for a position. It creates an environment of a competitive edge among its employees by exposing them to the different fashion moguls in the industry. How old do you have to be to work at Buffalo Exchange? For part-time workers, you need to be at least 16 years old. For full time and higher level positions, the minimum requirement is 18 years old. Cashier: This position may be a part-time or full-time position. They handle checkout sales. Applicants must possess skills in basic math and computer. They should also be communicative and outgoing. Associate Buyer: This position requires a broad knowledge of fashion. Associate Buyers are stationed in the sales area. They handle buyers’ queries and make recommendations on fashion. They also provide sales assistance and organize racks. Store Managers: They handle the overall operation of the store. They hire, train and terminate employees in accordance with the company policies. Other positions may include sales associates, merchandise handler, key holder, bookkeeper, and delivery clerk. You may print the PDF form of the application. The printable form is available on the site or on other job search sites that are affiliated with the company. The company accepts online and offline applications. You may visit any of their stores to pass a resume and application form. To get a position in Buffalo Exchange, applicants must have professional and personal interests in the fashion industry. You should express an enthusiasm to learn the industry if you do not have any prior experience related to fashion. In furnishing your resume, unrelated work experiences may be accepted. The interviewer might consider this especially if it’s related to retail even if you do not have any prior experience specifically in the fashion industry. This company is an equal opportunity and gives chances to applicants who want to pursue a career in the fashion industry. Since Buffalo Exchange belongs in the fashion industry, attending in your most fashionable attire is okay. However, make sure that you look presentable. On the day of the interview, prepare your answers to the possible questions. Buffalo Exchange is a fashion retail company. It is a prominent chain in the distribution of secondhand clothing. It also encourages its employees to express themselves through fashion. One of the popular websites ranked the company as the Best Fashion Shop in 2011. In that same year, Buffalo Exchange won a runner-up award in the Community Strength Award in Tucson City. The company is known for its dedication to the fashion industry, promoting equal competition between competing brands. It also gives back to the community by conducting different social activities. One of its programs is the Token For Bags. Each token that buyers get, the company donates 5 cents to a charity organization.